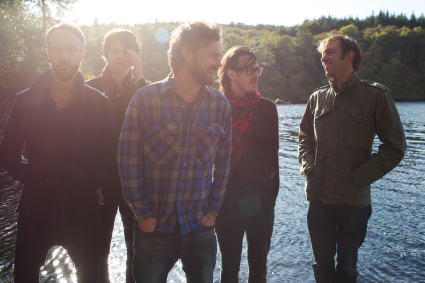 After seven years, UK’s Idlewild have announced their official stateside return with a US tour. The selective string of dates includes stops in New York City, Chicago and Boston, and are all in support of the band’s latest and most sonically diverse release, ‘Everything Ever Written’, available now on Empty Words. Recorded primarily on the Isle of Mull, ‘Everything Ever Written’ goes against the grain for traditional songwriting, written sporadically and spontaneously at the much-anticipated end of a three-year hiatus for the band. The seventh studio album also sees the arrival of new musicians Lucci Rossi & Andrew Mitchell joining the group, alongside the original band members Woomble, guitarist/songwriter Rod Jones and drummer Colin Newton.